Buying a bus and converting it from scratch may be a trying feat if you lack the time and adequate resources. But these days, that doesn't mean the converted bus dream is unattainable. In fact, it doesn't take much to find a completed conversion project in need of someone who will take good care of it. 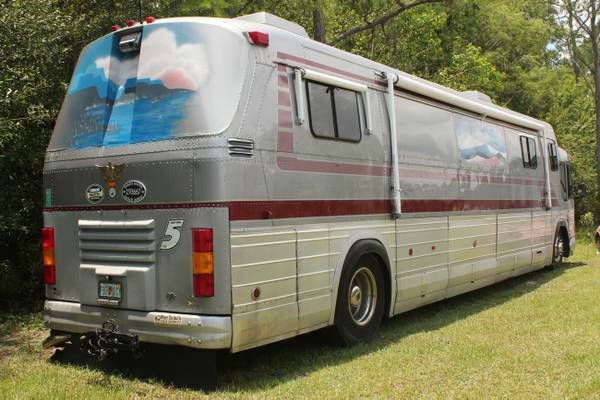 This one, for instance, is currently up for grabs in Tallahassee, Florida. It's pretty much move-in ready, only really needing a stronger engine if you're planning on making a cross-country road trip. 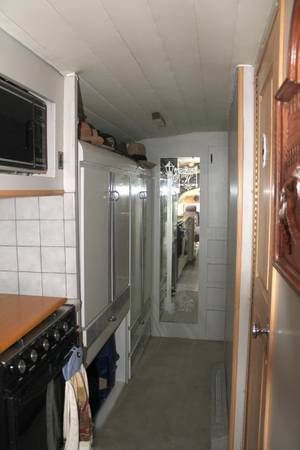 Want to get a feel for the mobile home life? Then join us for a tour. Harley Rockhill is selling his rare, 40-foot (12.19-meter) 1968 GM Buffalo PD4903 bus for $12,500. 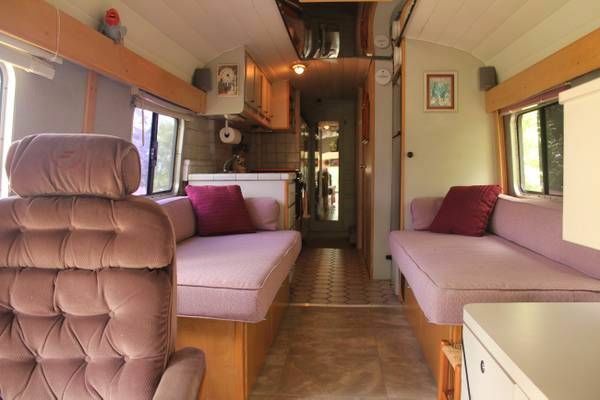 According to his listing, General Motors only manufactured 401 buses like this one. As you can see, the vintage bus's inside has been fully refurbished. Like the norm of your typical conversion, this charming mobile dwelling has an open-plan living and kitchen area right by the entrance. For a bit of extra ventilation, there are two air conditioners installed on the bus's roof. 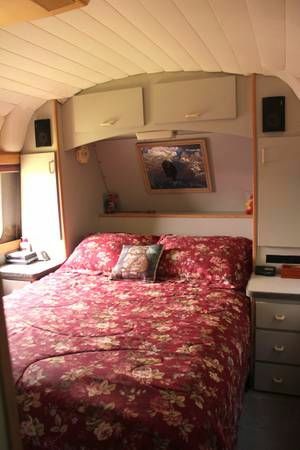 Cedar-lined closets are among the exceptional storage assets you will find inside this converted bus. The kitchen is complete with all appliances, including an oven and microwave. Likewise, a full bathroom is very much a part of the package. It's interesting how a few decorative details can really uplift a room. 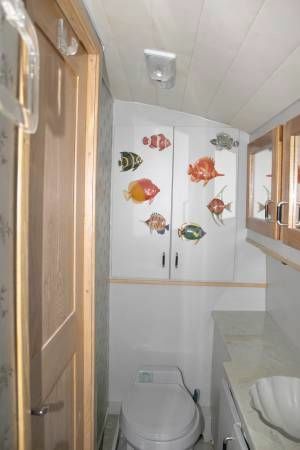 Don't you just love those colorful little fishes on the cabinet? This bus has a single bedroom, which looks quite comfortable from where we're sitting. The shelves and drawers deliver storage space, and the wall painting adds a bit of a personality to this cozy sleeping spot. Fully furnished, nicely decorated and all ready for a new owner. Sounds like a good match for converted bus enthusiasts who are wanting to ease into the mobile lifestyle. If you're in or around Tallahassee, Florida, check out this bus. You'll see that a few personal touches are all it currently needs. So why not shift the gears toward a new home of your own? You never know, it might be worth it. Share this lovely converted bus on Facebook. Who says a school bus can't accommodate a large family? Since late 2015, Hayden, Colleen, their six boys and two dogs have been living and traveling on a converted bus. Find a single-deck bus, liven it up with a fresh coat of paint and park it by a private deck in the Scottish countryside. You may have guessed it: these are the main ingredients for today's bus conversion tour. Adam and Joanie gave up their expansive Minnesota home in favor of this renovated Genesis school bus. In just 240 square feet, they have all they need to suit their new nomadic lifestyle.